KENNESAW, Ga. - April 12, 2018 - With Hal Leonard‘s continued growth, the company upgraded their prepress and sheetfed equipment to match their customers’ needs. 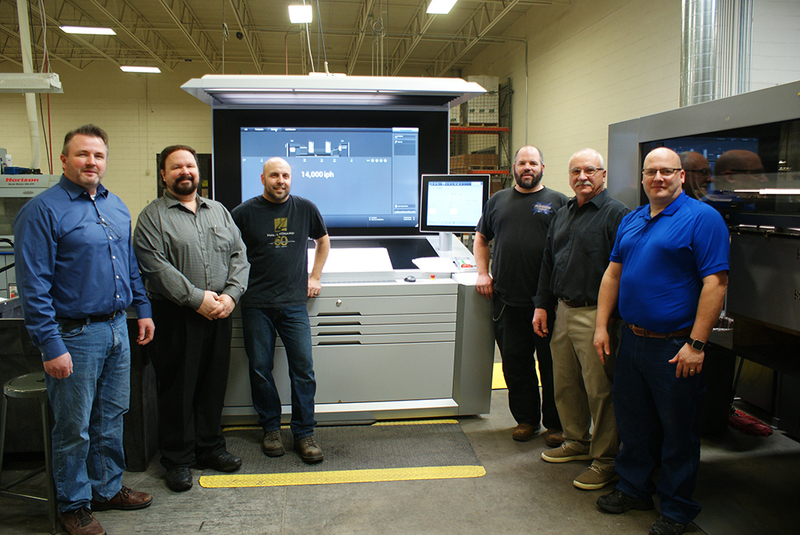 The installation of the Speedmaster SX 102-2P with “Push to Stop” technology alongside the Suprasetter A 106 from Heidelberg will allow Hal Leonard to increase productivity and efficiency through its entire print shop. Being the world’s largest music print publisher, Hal Leonard located in Winona, Minnesota needed an industry-leading press to keep up with the high demands of its customers. With the Speedmaster SX 102-2P with “Push to Stop” technology, Hal Leonard is able to print and perfect up to 14,000 sheets per hour. The perfecting technology on the press ensures consistently high-quality at incredible sheet travel times, even with very thin substrates. Hal Leonard is built on the foundation of a full Prinect workflow, which has allowed them to be equipped with Push-to-Stop technology on their press. Thanks to the Push-to-Stop technology, the Speedmaster’s jobs are autonomously changed over without operator intervention and will continue to print until the operator interrupts or until Intellistart 2 informs the operator of the next steps when action is required. The Push-to-Stop technology is only possible with Intellistart 2, a new unique integrated software system for effective job preparation. This software system reduces the number of operating steps during a job change and enables all operators to achieve the same results. Hal Leonard knew that if it was going to upgrade its sheetfed department that it would need a new CtP device to work alongside it. The Suprasetter A 106 was the perfect option to keep up with the quick speeds of the SX 102. The Suprasetter A 106 includes a high quality laser system developed by Heidelberg, providing excellent image quality. Thanks to the Intelligent Diode System, if one diode fails during production, the operation can continue—giving Hal Leonard the production reliability they need. The Suprasetter A 106 holds 110 plates of each press size. It fully automates the loading of plates direct from the pallet with slip sheet removal, imaging, punching, and then stacking the plates. As a complete Heidelberg shop, Hal Leonard continues to purchase Heidelberg equipment because of the consistency and reliability of the machines.